Hospitals Can Speed Stroke Treatment, But It's Not Easy : Shots - Health News The faster people get treatment after suffering a stroke, the less likely they are to be permanently disabled or die. Speeding up hospital procedures helps, studies find. But cost is an issue, too. Turning the standard ambulance into a specialized stroke treatment unit could help. When a patient who has had a stroke enters the emergency room, it's a race against the clock. Those who receive the clotbusting drug tPA within 60 minutes of experiencing stroke symptoms have the best chance of avoiding brain damage or death, but studies show that only 30 percent of patients eligible for treatment with the drug get it within this "golden hour." But that less-than-stellar response can be sped up, according to studies published Tuesday in JAMA, the Journal of the American Medical Association. In a project called Target: Stroke, launched in 2010 by the American Heart Association and the American Stroke Association, hospitals were recognized if they met a goal of treating 50 percent of stroke patients within an hour after they arrive. The best practices to meet that goal include having ambulance staff call ahead and rushing patients to a CT scanner immediately. As a result, hospitals reduced door-to-needle treatment from 74 minutes to 59 minutes in four years, according to data from 1,030 of those hospitals and more than 70,000 patients. 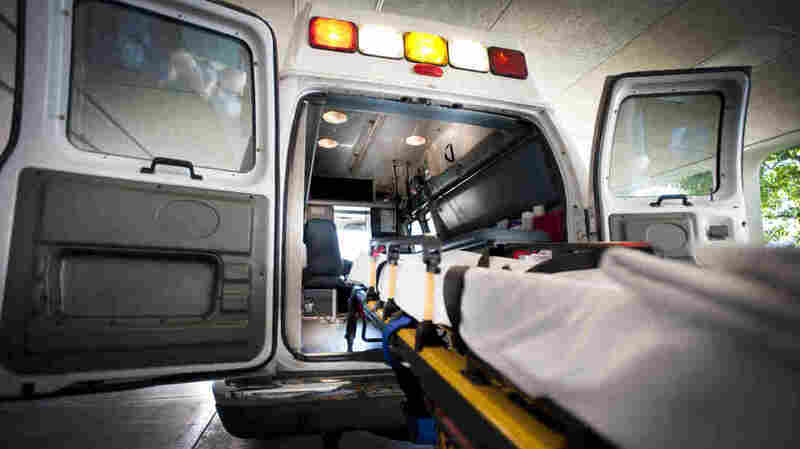 The percentage of patients treated within the golden hour increased from a little less than a third to more than half, and researchers saw an almost 2 percent decrease of in-hospital deaths, from 9.9 percent to 8.3. "This is something that every hospital would be able to do," says Dr. Gregg Fonarow, a cardiologist at the University of California, Los Angeles, and the study's lead author. In another report, German researchers suggest that treatment with tPA doesn't have to wait until the patient arrives at the ER. The treatment can be administered right in a specialized ambulance, equipped with a paramedic, a neurologist, a radiology technician, CT scanners and lab capabilities. "In a way, we bring the hospital to the patient," says Dr. Martin Ebinger, a neurologist at the Center for Stroke Research in Berlin and the study's lead author. Over a 21-month trial where these specialized ambulances were deployed every other week in Berlin, researchers saw an average 25-minute reduction time in treatment delivery. And the rate of tPA treatment increased from 21 percent to 33 percent. More promising, says Ebinger, is that there was no increase in the risk of tPA treatment, which can include bleeding in the brain and death. "It's actually quite difficult to [treat a patient within 60 minutes] on a routine basis, because there are many issues that need to be addressed," says Dr. Larry Goldstein, a neurologist at Duke University. Issues, he says, like getting patients to know what a stroke is and how to respond, and understanding what kind of stroke the patient is having, as well as the patient's history. Public understanding of stroke treatment is also a big problem, Goldstein says. "The patient or bystander needs to recognize that something's wrong and to contact 911 so the patient can be transported rapidly," he says, adding that that is the first step to speeding up the treatment process.